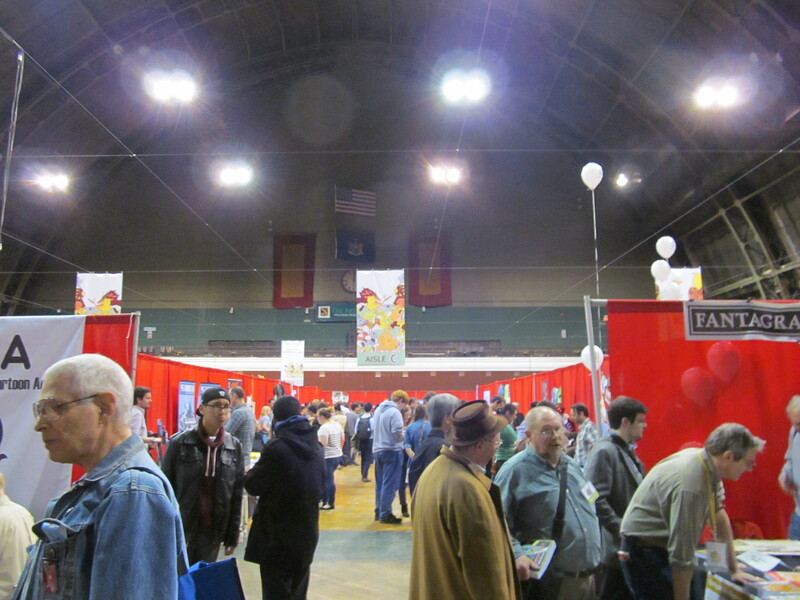 It’s a truism that comics culture and the comics industry varies radically from country to country, but MoCCA Fest’s efforts to bring in an international perspective is laudable, to get past the stereotypes of difference and hear the story first-hand. Needless to say, it’s valuable to avoid a myopic perspective of the American comics industry and acknowledge that our panorama is limited and limiting when facing the tide of increasingly globalization in pop culture. 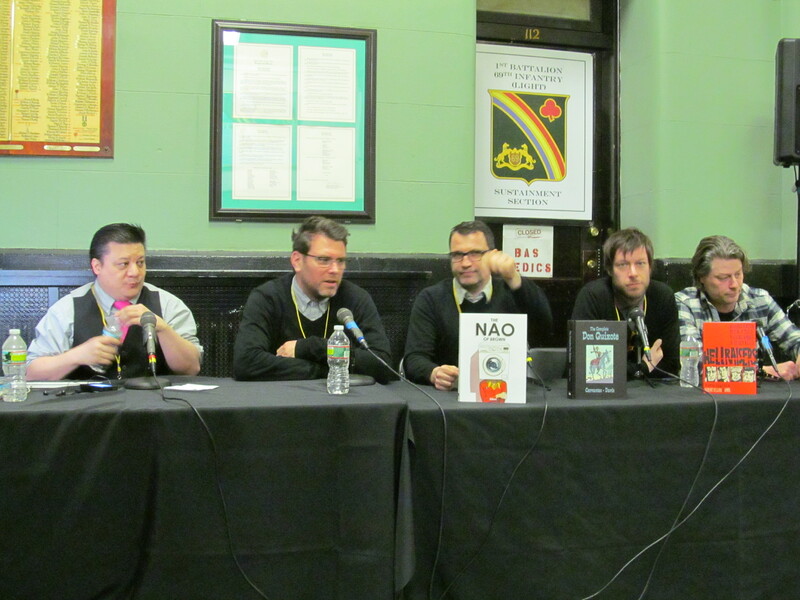 On Sunday, April 7th, SelfMadeHero brought in some of its best and brightest British comics creators in a panel “Table Talk” hosted by Jimmy Aquino of Comic News Insider to discuss with a conversational style their current works, their comics heroes, and how they view the relationship between the British and American comics scene. 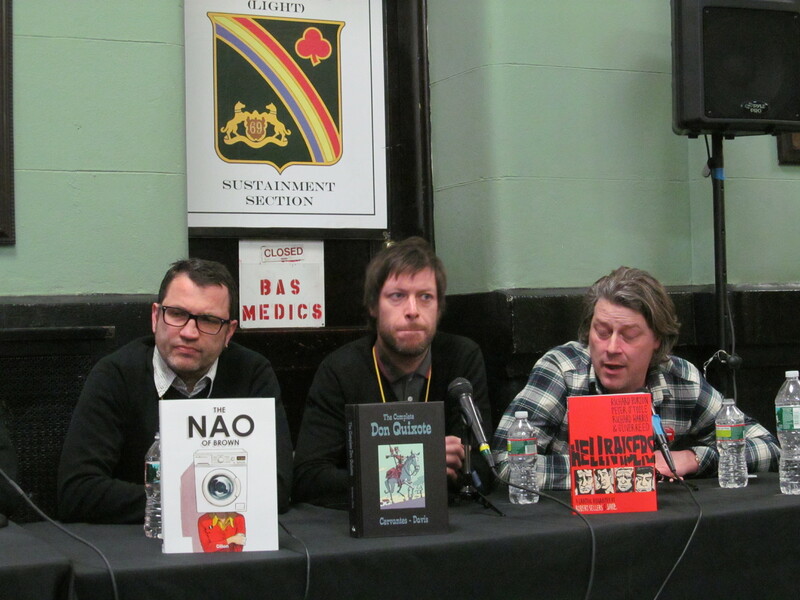 Glyn Dillon (THE NAO OF BROWN), Rob Davis (THE COMPLETE DON QUIXOTE), JAKe, and Robert Sellers (HELLRAISERS) fielded Aquino’s questions and compared notes on their comics past and comics present. Aquino asked this small invasion of panellists what exactly they feel the differences are between the world of comics in the UK versus the USA. 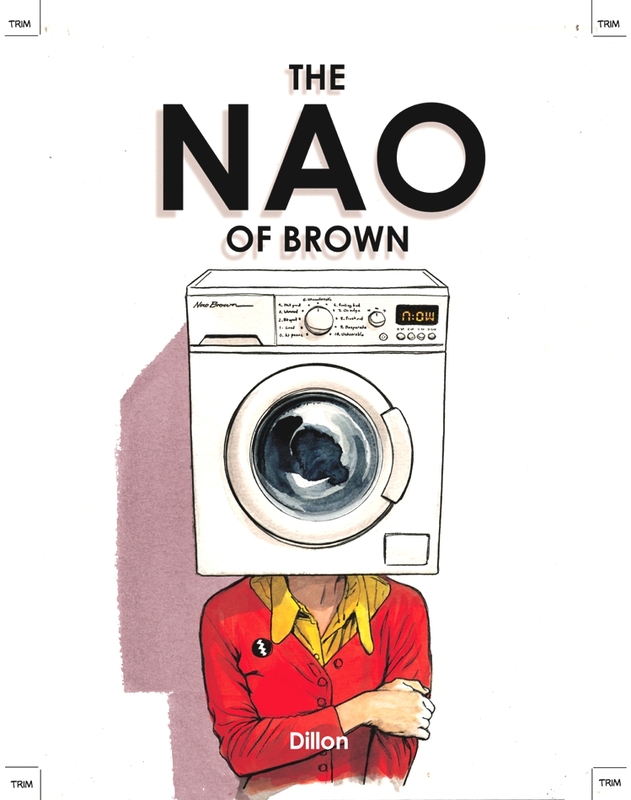 JAKe immediately leapt to the trends in production, pointing that it’s much more common in the UK to “do it all” without “splitting labor” in comics creating, including both writing and artwork. Davis reflected on the market he’s observed over the years, growing up with comics in the UK that were primarily “aimed at kids” until the sea-change of the ‘80’s. JAKe agreed, citing the “boom” of the late ‘80’s as a transition. After WATCHMEN set fire to the comics scene, “American publishers took all the British talent”, JAKe said. Then there was Vertigo, too, embracing British influence. Davis felt that the field has been levelled in more recent years as the “Internet has become an international language”. Dillon also pointed out that there’s a difference in background and training emphasis in Britain among those who end up pursuing comics as professionals. “In America there are more colleges with studies in comics art”, he said, whereas in the UK, he feels that traditionally comics have been “frowned on” by traditional art schools. 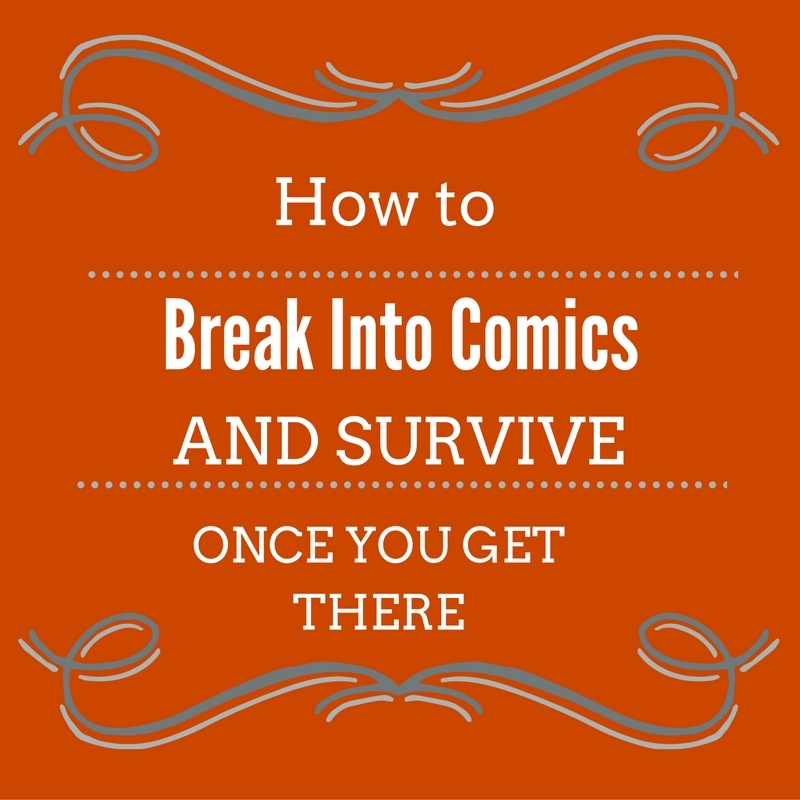 This leaves comics artist to “forge their own path”. Davis agreed with Dillon, commenting that most artists are trained in illustration or animation and that moving into careers in comics, this makes them more likely to want “complete control” over their work. The panellists chuckled at this observation and chimed in that British comics artists are “control freaks” and “obsessives”, themselves included. It’s a very “recent” thing, Davis said, but a “shift in Britain and comics everywhere” to take on fine arts and illustration training at college, but then suddenly see the “opportunity” to launch into comics if desired. JAKe counterbalanced this by highlighting another difference, that its very rare to find a British comics creator who has spent as much as 20 years in comics without also pursuing a career in illustration or some more lucrative, more widely accepted arts medium, unlike the USA. The pan-Atlantic scene certainly has one thing in common, though, as the panellists agreed, “It doesn’t pay much” to pursue comics. 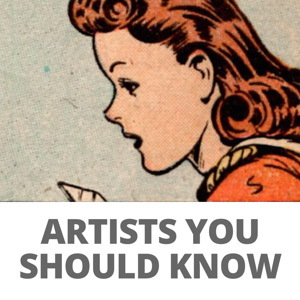 Alternately, a lot of British artists have a background in music companies or magazines beforehand or while creating comics to support themselves. Hearing the panellists discuss their childhood reading and influences was particularly enlightening, touching on some similarities, but many differences to the comics American kids are exposed to. Aquino mentioned that The Beano, The Dandy, and the “Stalwart” 2000AD must have been their most common fare. Davis, speaking of 2000AD said “There was a time when that was the only job in town”. Dillon, whose older brother is a comics artist, introduced him to Marvel UK as a teenager, while Davis added DOCTOR WHO Weekly to the list, commenting, “Not a lot of opportunity to develop your own ideas” when there are only a few comics outlets around. He feels that this makes “self publishing” these days even more attractive. Davis’ exposure to American comics included Underground comics of the 80’s and 90’s and JAKe’s list was fairly comprehensive: The Beano, 2000AD, Marvel, and DC. JAKe’s tales of the vagaries in the market that allowed him access to Marvel and DC comics, however, were pretty fascinating. Merchant Navy cargo ships, he said, carried comics as ballast when moving between the USA and UK, and you could never tell what would turn up for sale. Taking it as it came, he ended up with comics like BATMAN and THE FLASH. Davis had the same “random” experience when it came to locating American comics in the UK, too, which often resulted, JAKe said, in “never seeing part two” of a comic. JAKe explained that there was a geographical factor in seaside towns that often determined the publisher origin of comics. In his childhood home, Hull, the comics were largely DC and it became a DC town because of trade routes, whereas Liverpool, he knew to be mostly Marvel in its arriving ballast. Davis remarked what the audience was no doubt thinking, that it sounded like the “stone age”, but it’s a remarkable testament to the way comics have been viewed, as an interchangeable substrata of culture, and to some extent this illustrated that marketing American comics in the UK was not a major priority for big publishers. But these British comics creators still admitted, despite how hard American comics were to come by growing up, being “in love with Americana” and JAKe, particularly sees it reflected in “what British comics can do”, like JUDGE DREDD, set in America, and therefore “reflecting” American culture back at itself in a unique way. “It’s a love affair with America because that’s where the culture came from”, he said. 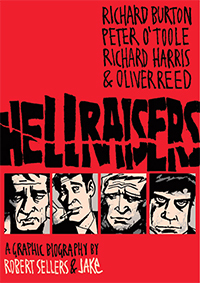 Sellers, who is new to comics creating, adapting his prose novel HELLRAISERS into comics for the first time, had a different story to tell. Though he did read comics in his youth, he had to engage in a crash course to become a comics writer, and the works that he studied and emulated say a lot about what the comics canon has become these days. He read LEAGUE OF EXTRAORDINARY GENTLEMEN, WATCHMEN, MAUS, and PERSEPOLIS, and used Scott McCloud’s Discovering Comics as his “Bible”. 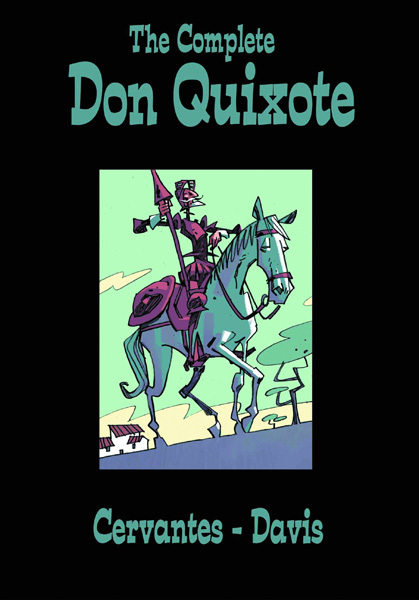 MAUS impressed him the most since he didn’t want to just “blandly adapt a book” into a new medium without really grasping the medium’s potential. Maus gave him the idea for a “framing device” for his graphic novel, and he settled on the thematic structure of Charles Dickens’ A Christmas Carol, with “spirits” visiting his character from the grave while withholding the heavy overtones of a morality tale. Aquino posed a pointed question about the future of these interacting comics cultures: “Are we breaking the divide down? Should it be? Should you keep a British sensibility or be more universal?” Davis had strong feelings on the subject, stating that the “things that make a story interesting can be foreignness”. Davis wants to see diversity endure in the medium. “That’s what I think of British comics”, he said, “No two people with the same approach, no factory approach. It’s a cottage industry”. Aquino followed this up by asking if the panellists felt that it was particularly important to “break into the American market” for them, personally. JAKe replied by observing that publishing a small amount of comics in the UK is publishing a small amount of comics whereas in America, publishing a small amount of comics is “massive” in terms of profits by comparison given the size of the American comics market. He commented wryly that comics creators can be “huge in America, like rock stars”, though, and when visiting Britain “no one knows who they are”, so there is still a pretty big divide in readership between Britain and the USA. Working in America versus working in the UK, Davis admitted, does create a “better chance to pay the rent” though moving between the communities may not be as simple as it sounds given reader expectations from the medium. 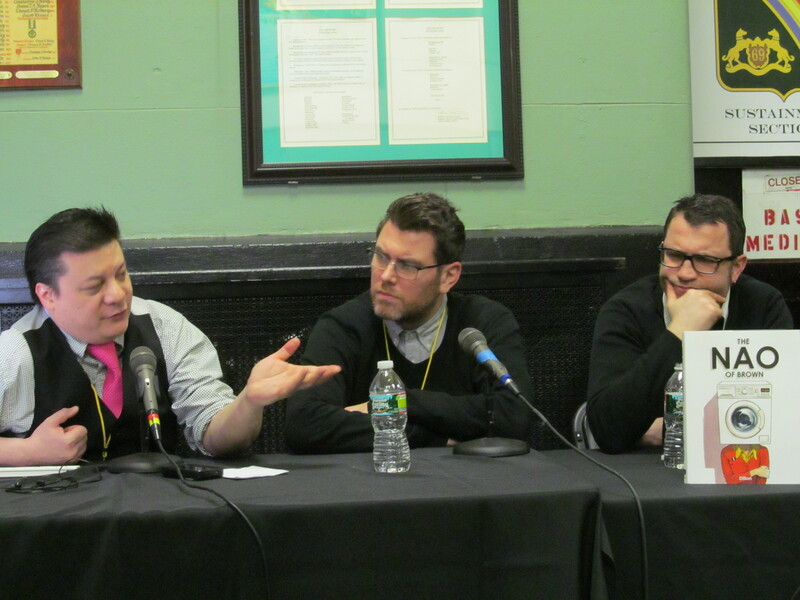 The panel discussion was extensive, and culminated in a series of rapid-fire questions about personal preferences in comics reading, but before this shift, the delegation from the UK got the chance to comment on the trip to New York itself and what they thought of MoCCA Fest so far. “It’s nice to hear that anyone’s paying attention”, JAKe said, about being asked to come to the Fest. He was very “chuffed” to be flown over and get the opportunity to meet American cartoonists. Some of their favorite creators from American comics included, for Dillon, David Mazzuccelli, for JAKe, James Kolchaka and Evan Dorkin who makes him feel like a “geeky fanboy”. Fandom and a fundamental belief in the capabilities of the medium were clearly common ground between these British creators and the American scene. Hearing their enthusiasm for American comics certainly “reflected” America back at the audience but also conveyed a lot of what it means to be working in comics in the UK. Their energy and passion sets a high standard, and hopefully reminds us, too, of what we love about comics and what we can learn from their versatility and curiosity about the future of comics as an international medium. Hannah Means-Shannon writes and blogs about comics for TRIP CITY and Sequart.org and is currently working on books about Neil Gaiman and Alan Moore for Sequart. She is @hannahmenzies on Twitter and hannahmenziesblog on WordPress. Sorry I don’t know who, J.M. DeMatteis is, I said David Mazzucchelli. Nice article though, thanks! Great article, Hannah! I know the sound was a bit wonky (we all had a hard time hearing one another) but I’m glad it seemed to go swimmingly. And thanks for taking those pics at the end. Just a quick note. My podcast is Comic News Insider not ComicS News Insider. Thanks!